Chalkie White can now add ARIA #1 Australian Country Album to his resume, a far cry from the previous 20 years touring regional Australia playing with a level of anonymity that echoes his personality. Life on the road has produced a seasoned, experienced singer-songwriter who has risen to the challenges of being a professional recording artist. Chalkie is an artist whose understated nature, matched with the authenticity of his music, has struck a chord with Aussie audiences. Chalkie had his first taste of musical success when he won the 2001 Gympie Muster Talent Search, then secured a grand final spot in Star Maker in 2002. In 2016 Chalkie was diagnosed with cancer and the prognosis was frightening. It was this event that prompted a change of focus and affirmed what he was meant to achieve in his career. He released his debut single ‘New Day’ in 2017 with an iTunes #4 singles chart position. The next single ‘Gingerbread Man’ charted at #1 on Australian country radio charts, and on numerous digital radio platforms. 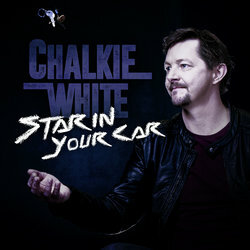 Chalkie released his #1 ARIA Australian Country Album ‘My Song Isn’t Written Yet’ in April 2018 which also charted at #2 on the iTunes Country Albums chart.